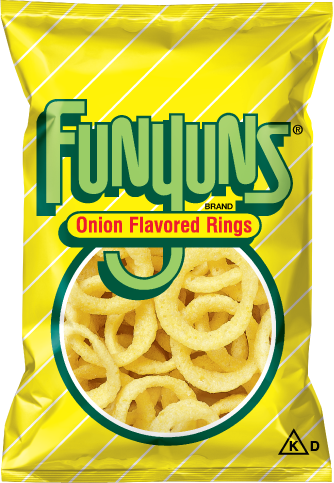 Any reason why we are Hungry Onion and not Hungry Funyuns? HA HA HA! One of my classmates in elementary school used to bring an egg salad sandwich and a bag of Funyuns for lunch.What was she thinking?! I actually wondered how this site became Hungry Onion, too. Staying tuned for the interesting backstory. When I was in high school, one of the walkable restaurant options was a pretty good deli. You got chips and a drink with your sandwich, and most of us usually opted for standard potato chips, Doritos, even Fritos. But we had one friend that often got Funyons, and we’d tease him for it. One day, we all decided to get Funyons. Damned if those things weren’t the bomb! Sounds like a good lunch to me!